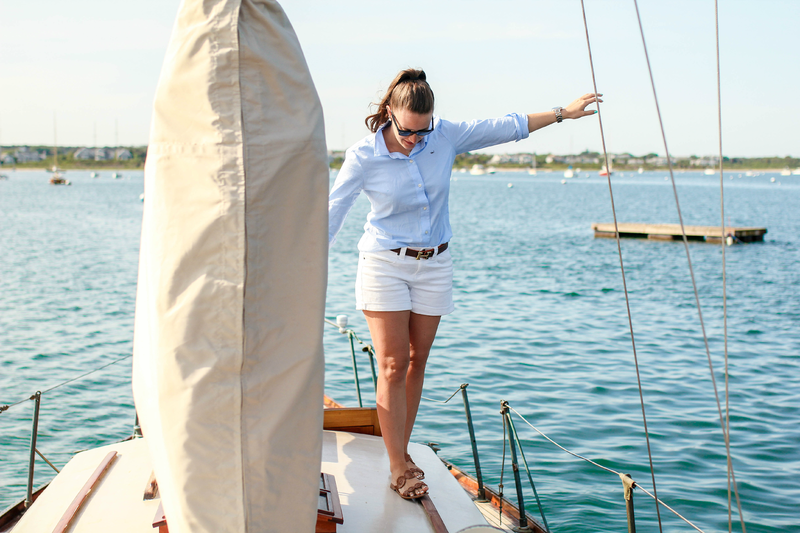 If you're in or going to Nantucket you have to make sure to pack your classic preppy items. 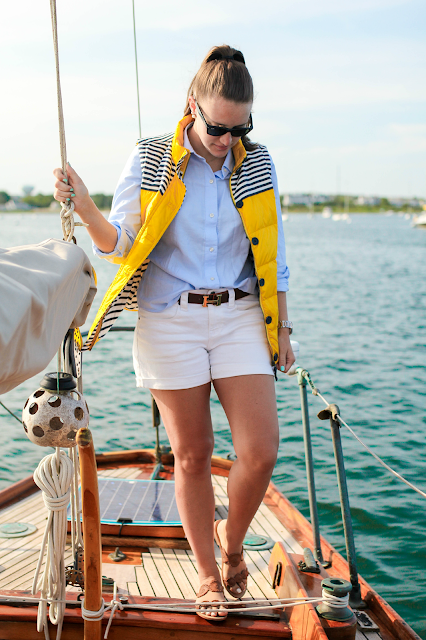 I love the nautical look of yellow with just about anything. I love it the most paired with a nice crisp oxford. 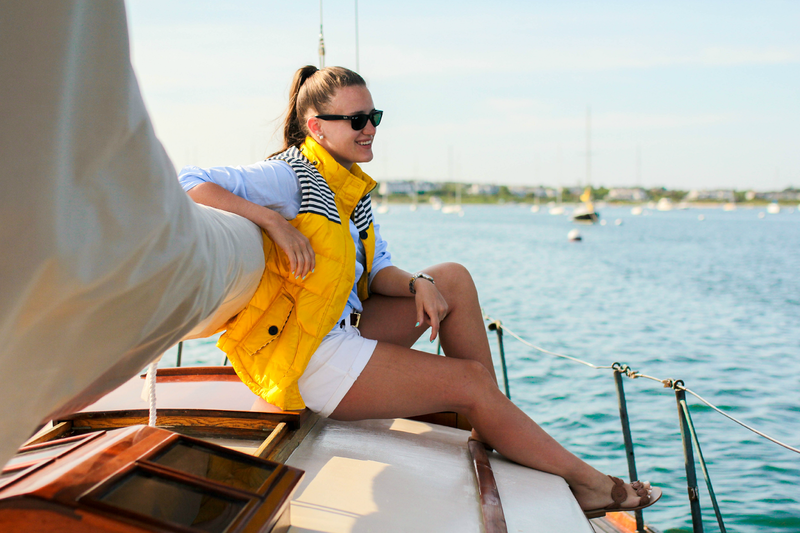 We snapped these photos one morning on the boat before heading to the island for our last day. 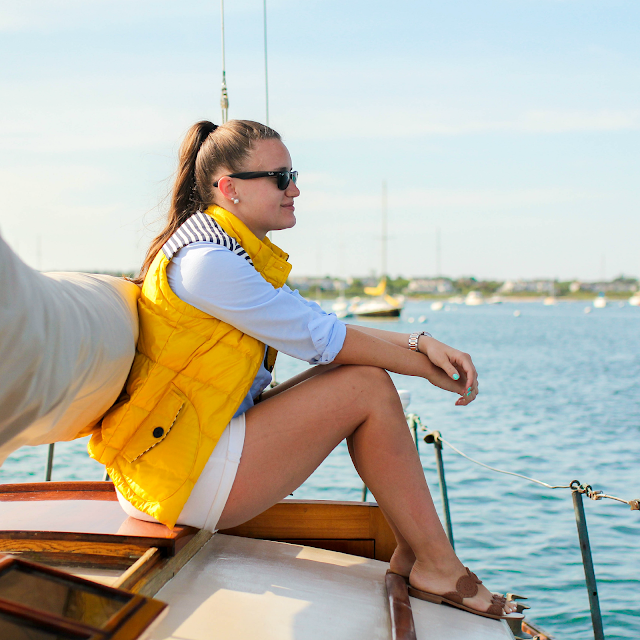 This was a perfect look for being on the water and in the morning because it was a little chilly but by the time the day really started going I had to take off the vest and roll up my sleeves. 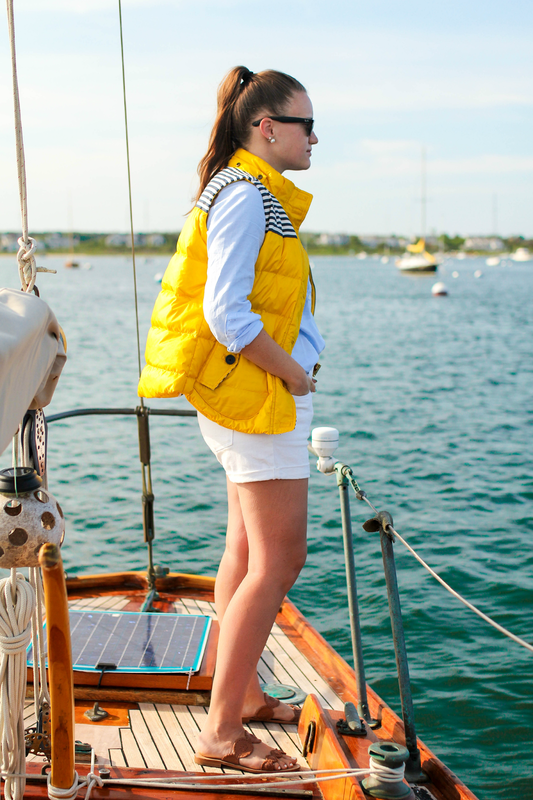 This was also my look home from Nantucket (sans vest). It was the perfect thing to travel in and it caused my sun burn the least amount of pain haha. I'm seriously in love with these sandals and I'm so happy it's warm enough out to finally wear them! I can't get enough and they're soooo comfortable! I seriously need you to revamp my closet. I love your clothes. 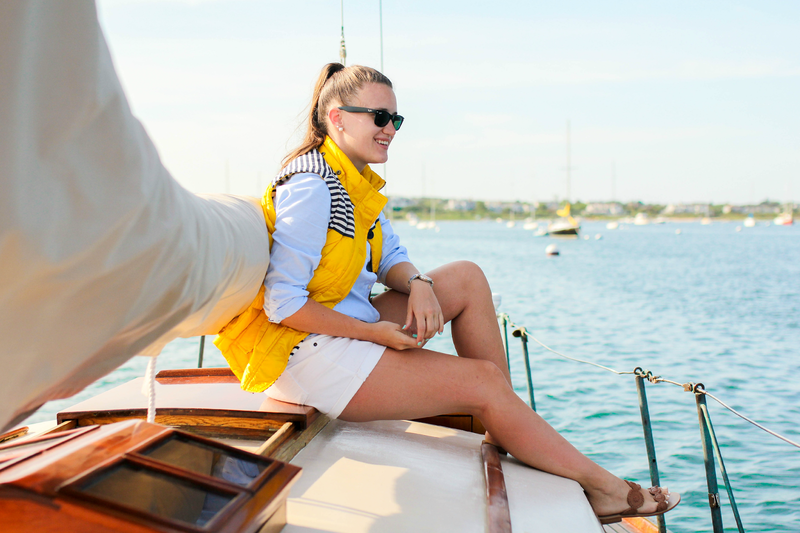 I love that vest! 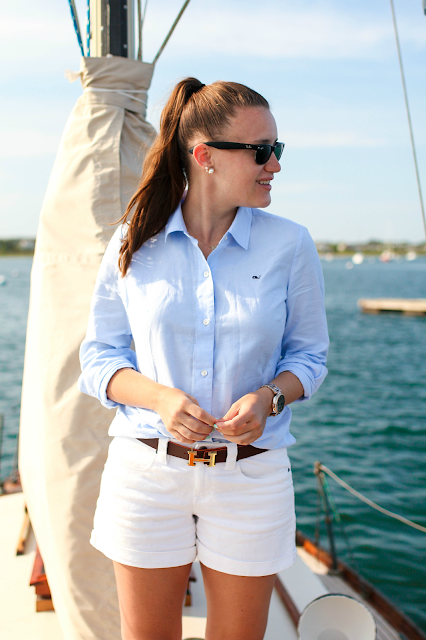 This is my kind of outfit! I love those shoes, that vest, and that shorts + top combo! This looks like an ad in a magazine! Super cute outfit & beautiful scenery. 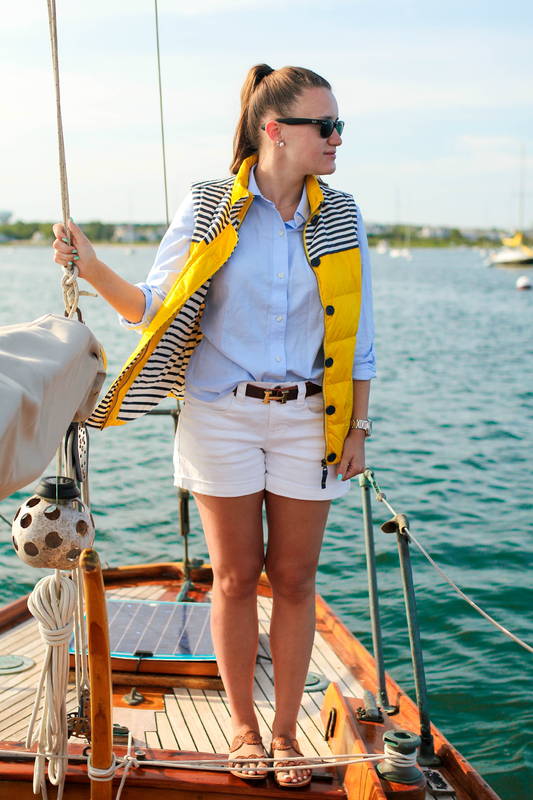 love your outfit, that vest is really cool! Love this preppy outfit, and the boat is the perfect location for the pictures!